Grab your camera! 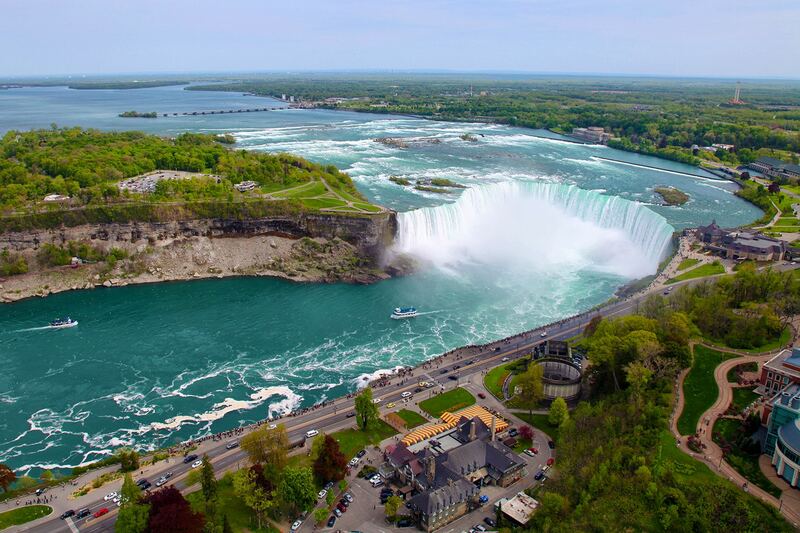 Witness the splendor of Niagara Falls, one of the natural wonders of the world, as you ride the “Maid of the Mist” through the pounding spray. In Toronto, take in the view from the CN Tower, at 1815 feet high, “the World’s Tallest Building and Free Standing Structure.” Spend the evening enjoying a professional theater production such as “Dirty Dancing” or “The Sound of Music.” The friendliness and graciousness of our neighbors to the north will delight you as you explore the diverse attractions of this modern, exciting city. Include a visit to Ottawa, Canada’s capital and home of the annual Tulip Festival. Cruise the Rideau Canal and tour the historic Victorian-era Parliament buildings.